This week is the anniversary of the first, and only, atomic bombs ever used in war. The results of that use are widely known. The fact that they were used at all is still a topic which is highly debated. I will leave that debate for others to conduct. My focus here is on the book. First written and released in 1946, this book has been around for as long as I can remember. The first time I read it was in 5th grade. 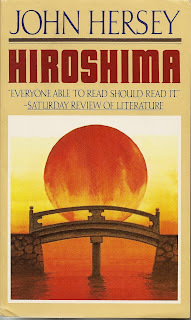 In the late 1970's Mr. Hersey returned to Japan, and the cities of Hiroshima and Nagasaki, to see the long term effects of the use of the atomic bombs which were used in 1945, bringing an abrupt end to one of the worst wars in the history of mankind. This visit by the author led to the final chapter in the 1978 edition of the book, entitled, "Aftermath." "superpower", the world is now in worse shape than ever in relation to the use of nuclear weapons. When the Soviet Union collapsed in 1989, her nuclear arsenal fell into the hands of several different republics, some of whom don't like us very much. With the advent of terrorism in the 21st Century, coupled with the cash starved former Soviet states, the situation is ripe for "rogue" nations and radical groups to attain/develop nuclear weapons of their own. Pakistan and India are poised to annihilate one another while Iran is doing all it can to develop her own nuclear weapons. And Israel is ready to retaliate at the slightest provocation. I hope that this book is still being read in our schools. 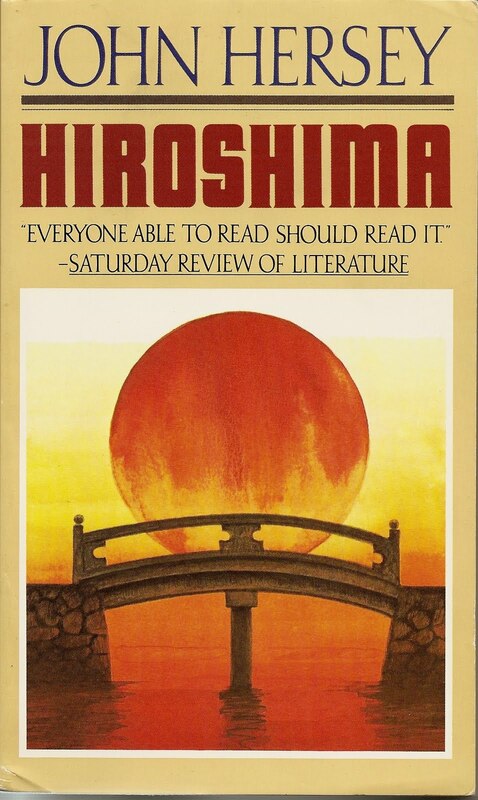 Using a very straight forward and narrative style, this 152 page book will cause you to think about the consequences of ever using nuclear weapons again.